Thank you for linking up in my first link up last week. So lovely to see your creations. Last week I didn't complete much - sewing wise. However I did a couple of batching work! Yay! I posted in my Instagram Story a few days ago whether you prefer Batching or Multitasking. Surprisingly the result shown 50% for each. As a woman and a mom, I think we are born multitasker. However when it comes to doing your home-based business, I read that batching is more appropriate. Batching is doing one task at a certain time and only concentrate on the work at hand, while multitasking is keep switching between two or 3 works at a time. Read the complete article HERE. For me, while sewing, I keep checking my phone for email or messages and sometimes get caught up in the conversations while my machine is on. Or I suddenly want to post updates in my Instagram and ended up scrolling endlessly. It is very distracting. Since I read the article, I tried to practice it. For someone who always multitasking all the time, it is tough job! But I did it. I completed many wallets, prepping a couple of works that need to be done, getting all the winter clothes sort out. I also took photos for my shops, finished the owl wallet above for Namrata which is long due!! Thanks for your patience ^__^. I'm still working out my schedule. I hope I will be more organized in the future. Sowmya from Prime Needlers on Facebook made this pretty green and blue kaleidoscope quilt. A delightful baby quilt. 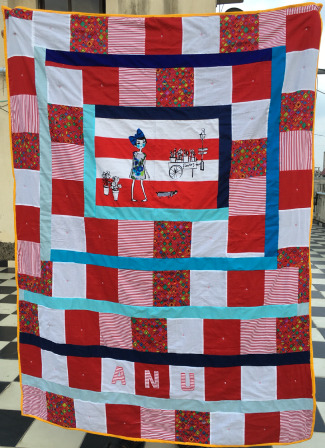 She's also currently working on her quilt for the First India Quilt Festival next January 2019. Neepa made this oh so pretty dress. 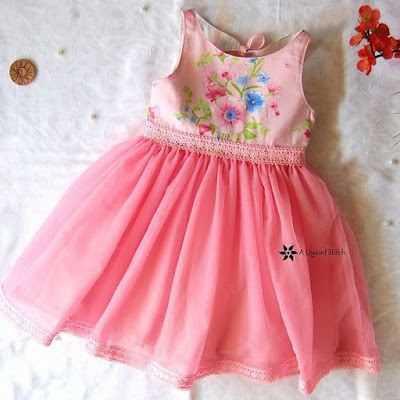 All little girls love pretty dresses, especially if it's pink, right? Check out her pretty dresses on her Facebook Page A quaint stitch. Diptee from Diptea (don't you love that?!) made this girly quilt. I really love the centre panel of this quilt. 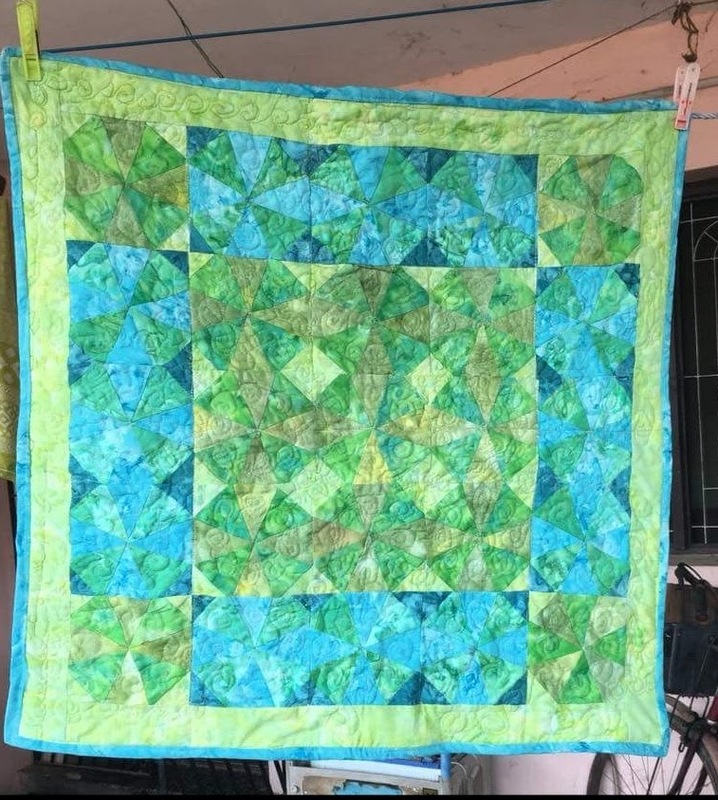 This quilt will surely make a girl happy! you can also read her blog HERE. Now, it's your turn to link up. You can link up anything HANDMADE by you from your blog , facebook, Instagram, your shop or Etsy or your tutorial. Do visit and give some love to the link you visited and also share them on your Facebook, twitter or Pinterest! The Link up will run from Tuesday to Sunday Evening (India Standard Time ) so you will have a plenty of time to share you craft of the week. By Linking up, you are giving me permission to share your links on social media and also on my blog features (if any in the future). Of course all the sharing from my part will always be properly linked up to your original post.